Begin by boiling 4-6 cups water. 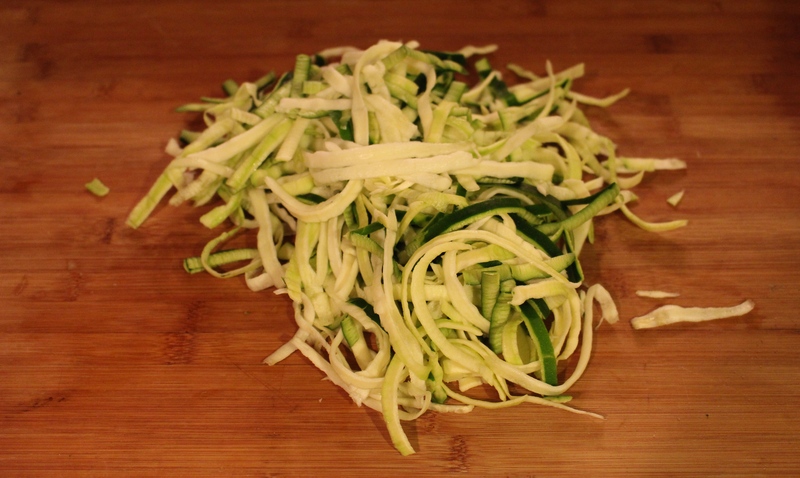 Using 2-3 zucchini’s, shred them into their pasta shape. Once finished add them to the boiling water and cook for about 3 minutes. 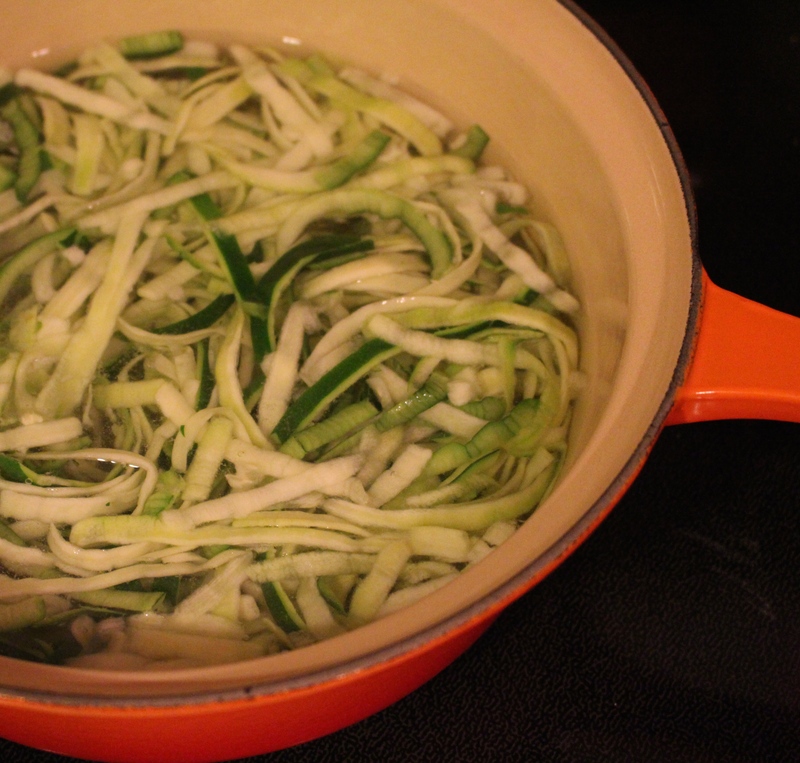 Strain the “pasta” and either toss with a little butter and salt or eat plan. 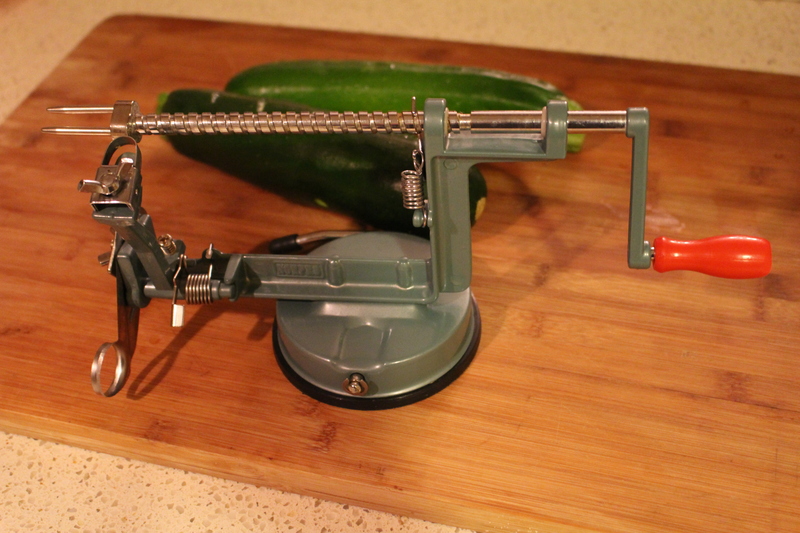 A side note: I like to shred my zucchini and toss it raw into my salads.